On top of the already offered RTBH mitigation method, our Anomaly Detection system now supports integration with A10’s Thunder TPS Series mitigation hardware. 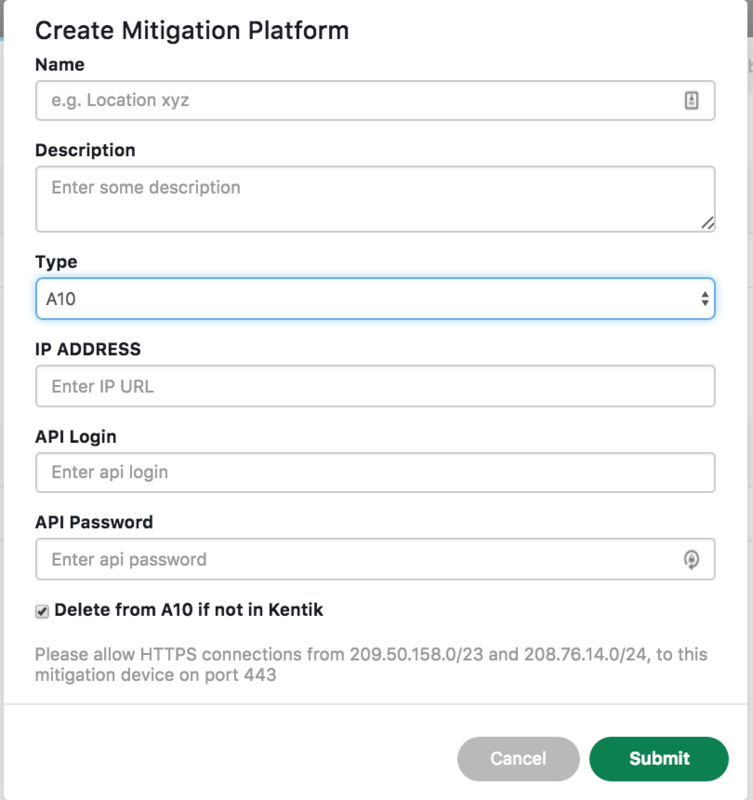 What this means is that if you already own or plan on acquiring such appliances, you can leverage all of Kentik Detect’s powerful Anomaly Detection system and couple it with A10 for mitigation. Matrix visualizations are described at length [in this Knowledge Base article](https://kb.kentik.com/?Db03.htm#Db03-Matrix_View). A “Matrix view” is now available in the Data Explorer, find it amongst the already existing Display Types section of the query side panel. 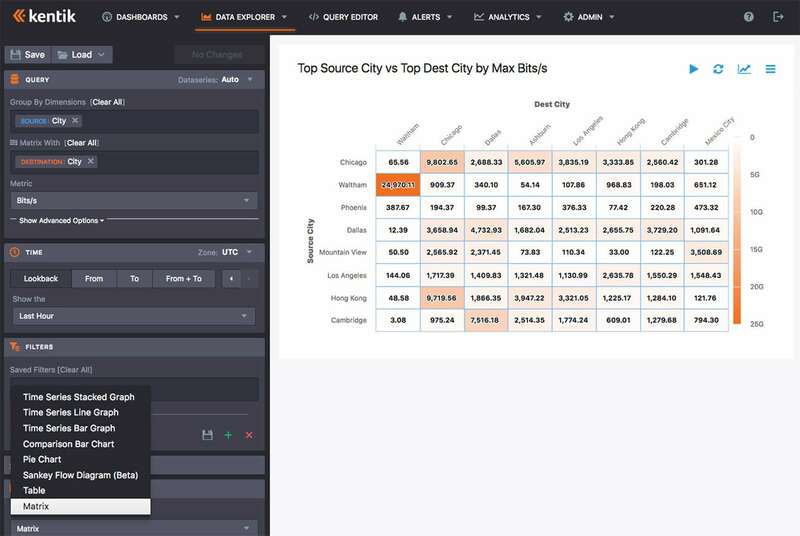 Transit providers might want to look at Top 10 Source ASNs vs Destination ASNs matrix of traffic. This might be a good way of trying to identify strategic content or eyeball prospects to engage in the future. Building a matrix of cross-PoP traffic for capacity planning purposes. More details on Look-back Alert Policy settings in this Knowledge Base entry. You can now use the Minimum Look-back setting to specify the minimum number of hours or days that baseline data collection is performed before a baseline is made available for comparison by alerting policies. 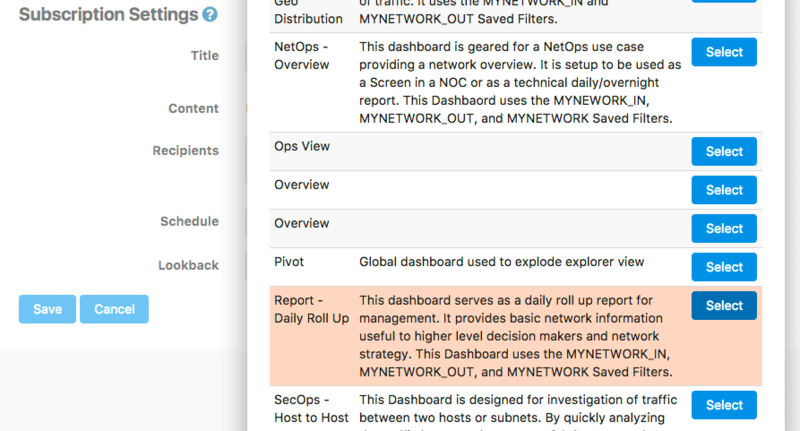 More details on Alert Notification Channels in this Knowledge Base entry. 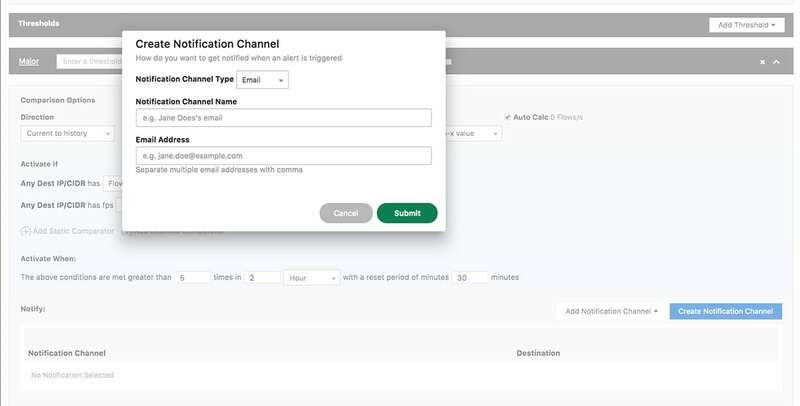 You now create a new notification channel from directly within the threshold notification-add function. Knowledge Base entries detailing Dashboard usage and creation are located here. 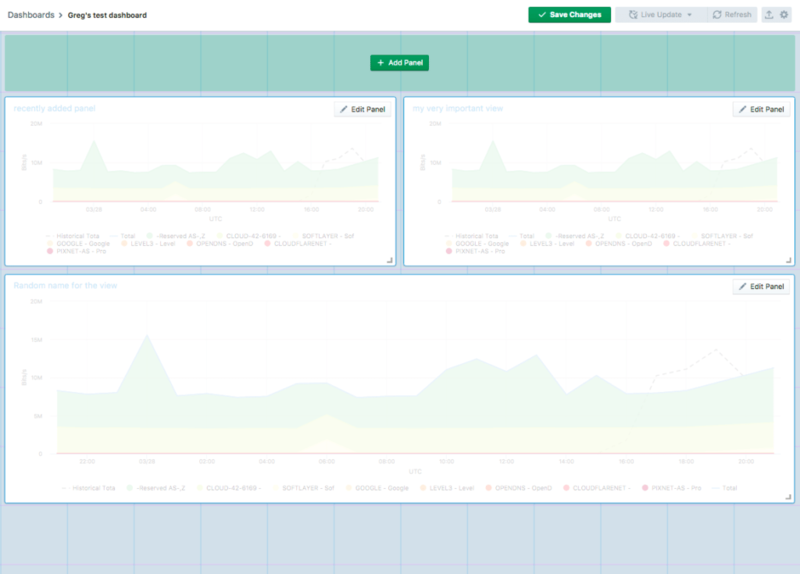 The dashboard layout infrastructure has been redesigned to improve speed and ease of use. This comes with a streamlined user experience as part of our constant effort to streamline usability of our most used features. You can now tell the state of your BGP sessions in the Device List table in the Devices page, which is found under the Admin menu.